Dr. Mesfin Teklu Tessema is the Vice President of Health and Nutrition at World Vision International. He has more than 20 years of experience in the areas of public health, nutrition, and humanitarian emergencies. He provides global leadership to World Vision’s health and nutrition program, define strategy and policies. His team’s work focuses on major challenges and opportunities in global health and nutrition including policy analysis, assisting countries in program design for scale up, and oversees more than $300 million in budgetary resources. 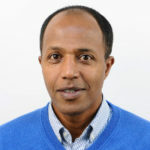 Before his current role, Mesfin served as Emergency Health Specialist with World Vision’s global rapid response team and went on to serve as Director of Emergency Health leading World Vision’s emergency health globally. Over the last several years, Mesfin has helped bring reform to World Vision’s health program, including developing a new strategy focusing on first 1000 days of life. He joined World Vision International from Save the Children where he led the establishment of a nutrition surveillance unit for the joint emergency operating partners, a consortium of 6 NGOs working to provide emergency health and nutrition responses in Ethiopia. He has lived and worked across the globe and has extensive operational experience in Ethiopia, Kenya, Liberia, Chad, Sudan, South Sudan, Indonesia, Afghanistan, Haiti and southern Africa. As a medical doctor, he practiced in Ethiopia. Mesfin is the author of the health chapter in the Sphere Handbook: humanitarian charter and minimum standards in humanitarian response. He is the co-director of the executive course on health diplomacy and humanitarian space at the Graduate Institute of Geneva. He received his Doctor of Medicine degree and diploma in community health from Jimma University in 1994, and Master’s in Humanitarian Assistance and Nutrition from Tufts University, Massachusetts in 2003.